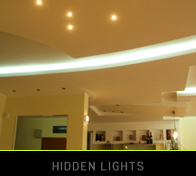 Hidden lighting is the most beautiful and enchanting way to discover the advantages of drywall systems. 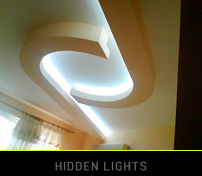 Hidden lighting is the key to creating superior aesthetic and greater variety in higher end decorative lighting applications. The careful selection and deployment of lighting is essential substance that influences our health and well being. 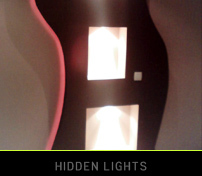 The hidden lighting systems have the powerful potential not only to decorate but also to create forms and effects that transform spaces and affect moods. Meto Interiors Ltd can offer an impeccable lighting for your home or office.